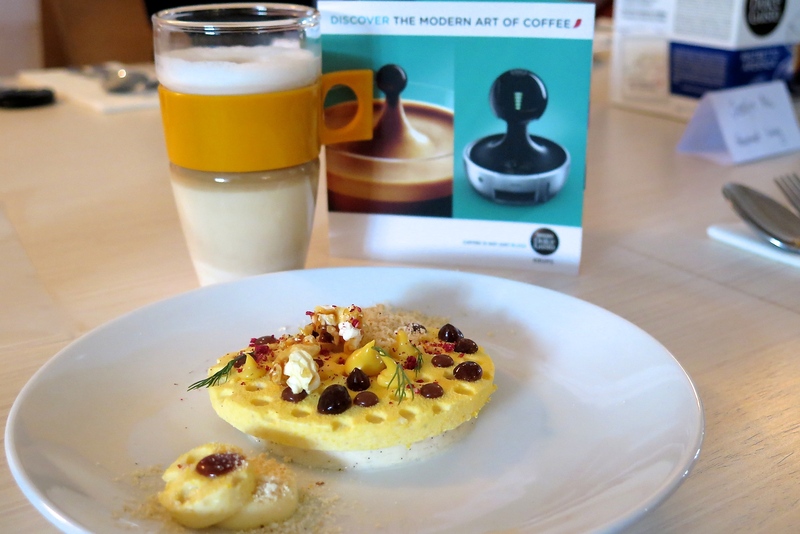 I have had the opportunity to discover beautiful tasting coffee and dessert at a recent product preview event, where NESCAFE Dolce Gusto unveiled its latest multi-beverage system – DROP, featuring a new intuitive touch screen technology and an aesthetic design that is highly functional and fit seamlessly into our home and our life. 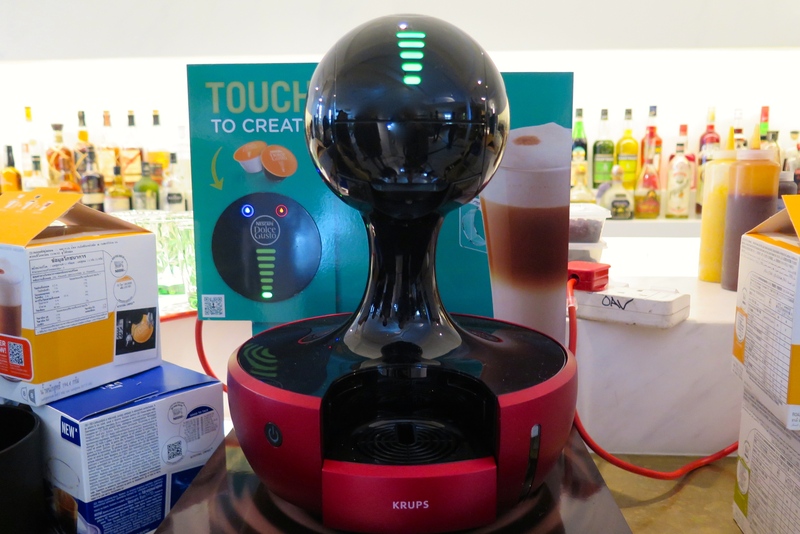 The design of this invention is clearly inspired by a drop of coffee and displays the power of minimalism and imagination, as well as its capabilities to deliver perfect cafe-style beverages such as black and white coffees, teas, hot chocolate and even MILO. Perhaps the cutting-edge design and technology shines through the most, as the intuitive interface of the DROP offers customisable drink sizes simply with a slide of your finger along the dosage bar screen. Equipped with the signature 15-bar pump pressure and a custom control lever, you can enjoy either a hot or a cold beverage with any of the 19 variants (capsules) available. Click here for more information about the DROP and its coffee revolution. Celebrating the launch of DROP, NESCAFE Dolce Gusto have teamed up with Janice Wong, one of Asia’s best pastry chefs and owner of 2am:dessertbar and 2am:lab; creating three exclusive desserts which accentuate and complement three different coffee variants – Cappuccino, Latte Macchiato and Ristretto Ardenza. 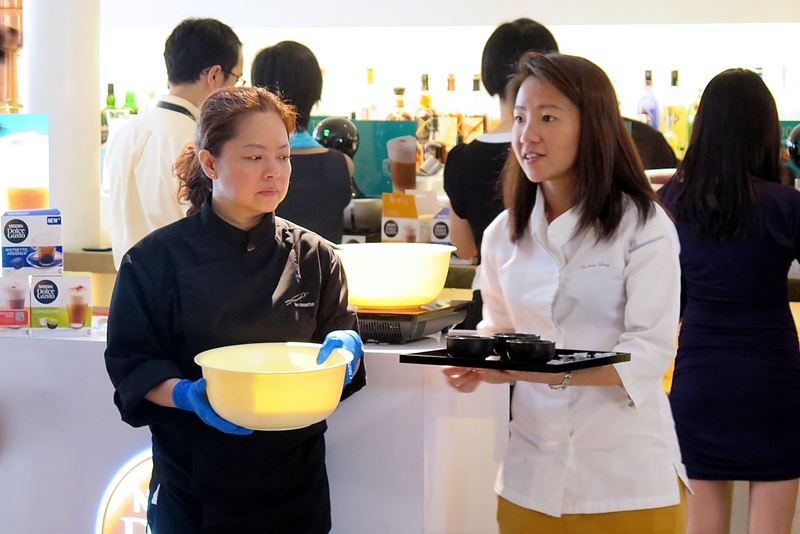 Janice challenges herself to create tantalising dessert art inspired by the variety of NESCAFE Dolce Gusto coffee variants. During the demonstration and preview, I was treated to not just one, but all the three delightful dessert creations in a seating. Starting off first with the beautiful “Popcorn Parfait” – made up of mango cream, raspberry passionfruit, caramel popcorn, yuzu parfait and plum gel. Expect a refreshing and citrusy flavour from this vibrant dessert, complemented with a glass of creamy, full-bodied and slightly sweetened Latte Maccchiato. 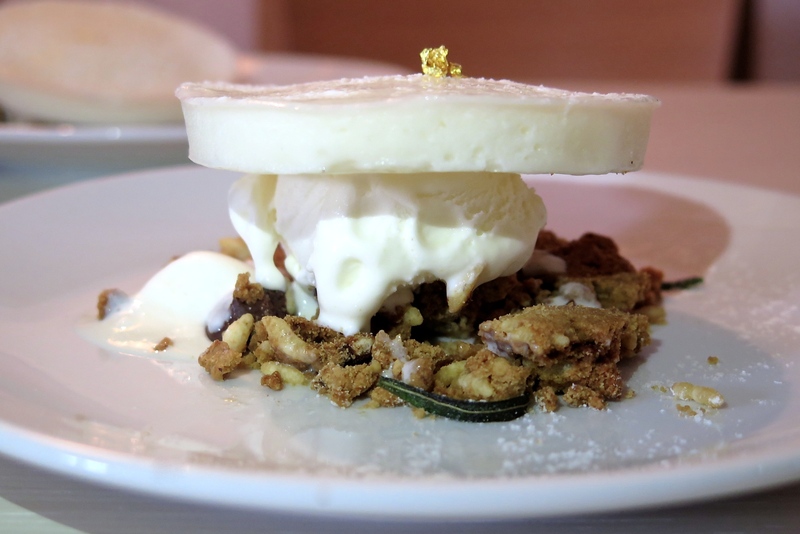 This exquisite dessert and coffee pairing is available at 2am:dessertbar from 15th September till 14th December 2015 and retails at $27. Cappuccino drinkers would do well to try “The Cappuccino“, named after and inspired by NESCAFE Dolce Gusto signature cappuccino variant, featuring a melon aerated-disc made from fresh melon and milk to resemble the frothy Cappuccino foam milk and served with crunchy hazelnut streusels, tonka milk ganache and milk sorbet. 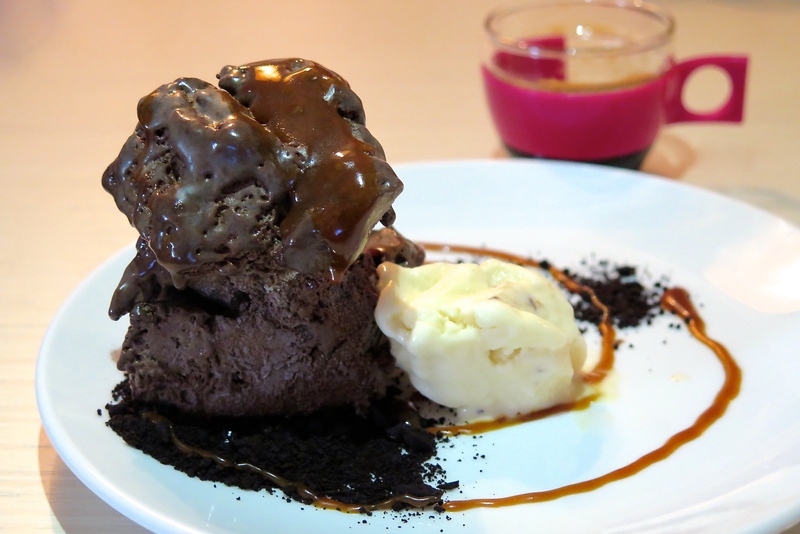 This decadent dessert is to be paired with the well-balanced NESCAFE Dolce Gusto cappuccino at $25. For those who take their coffee black, rich and intense, you’re likely to be pleased by the unique combination of sweet and savoury flavour from the “Chocolate Licorice” dessert, served with thyme lemon ice cream, peanut butter dulce sticky frozen ganache and cinnamon coffee crumble. This rich and complex dessert is complemented with the robust Ristretto Ardenza, the most intense Espresso variant of NESCAFE Dolce Gusto. This dessert pairing set retails at $27. 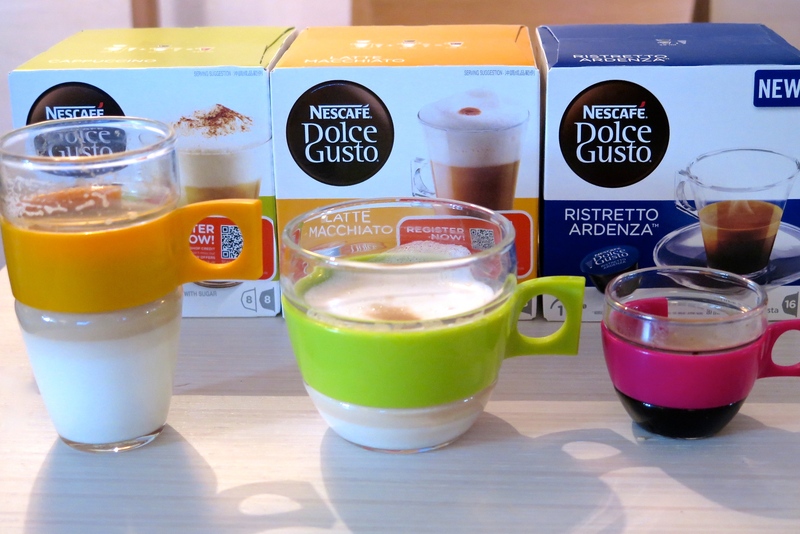 All the three NESCAFE Dolce Gusto coffee and dessert pairing menu ($25 to $27) will be available at 2am:dessertbar from 15th September till 14th December 2015. For those who are interested to know more about the NESCAFE Dolce Gusto DROP, log on to their official web-shop for details. Alternatively, visit major departmental stores such as Takashimaya, TANGS Orchard and VivoCity for purchase. 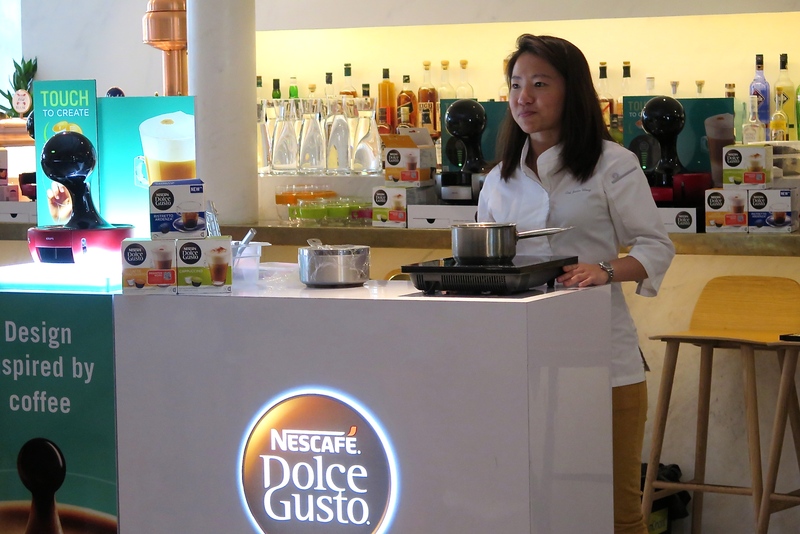 The NESCAFE Dolce Gusto DROP is retailing at S$339, with two colours – titanium silver and metallic red to choose from.